Starting At $781.99 + Free Shipping! Your reception desk sends a message to all who enter your office, so why not send the right one? The OFM Single Marque ADA Reception Station Three Color Combinations Available can help you do exactly that. 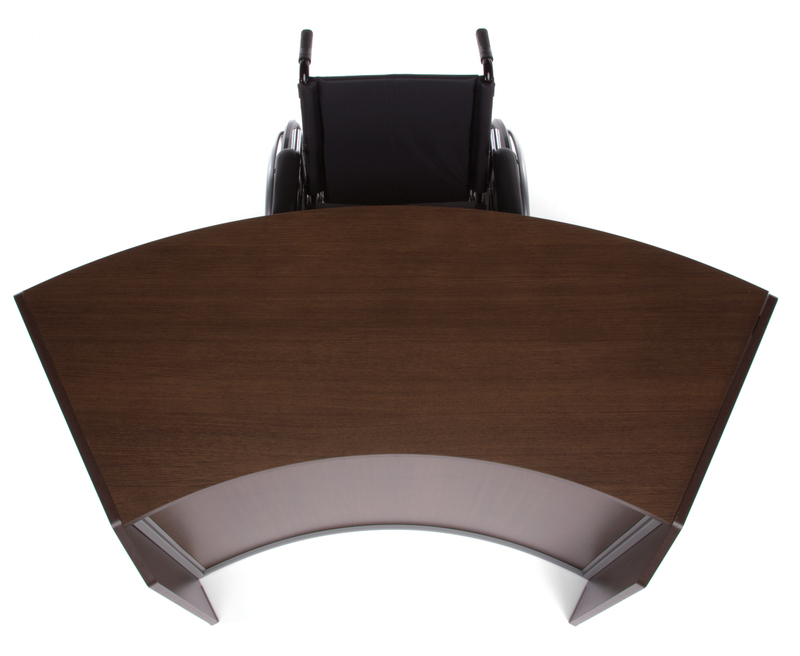 This desk takes command of the room with its semicircular shape while still remaining at the right height to be easily accessible to everyone who comes in seeking assistance. There are a variety of shades available, from dark brown to bright white. Combined with the standard silver frame, any of these options are sure to look professional in any setting.